They say that rain brings good luck on your wedding day, Crista and Dorian will have the best of luck as it rained and rained just minutes after they sealed their vows with a kiss! Crista and Dorian, along with their families and baby daughter, were joined in marriage on a foot bridge over the Boise River in Eagle, Idaho. It was a beautiful backdrop with the rain filled clouds and colors of fall as their backdrop. I also had the honor of officiating the wedding of their parents, Dave and Pauline in September, so I felt like I already knew this wonderful family. Congratulations Dorian, Crista, Dave and Pauline, and your entire extended families! New to Idaho residents Laura and Chad were married on an incredibly beautiful fall afternoon in Twin Falls, on the banks of Rock Creek in the Rock Creek Park. Their families traveled in to join them to celebrate their marriage, and the day was golden, and picture perfect. Here's to many more sunny days and fun adventures, Laura and Chad! Chris and Cristen's story began in 2014 when they first met. Their first date was mountain biking in the Boise Foothills (what a fun first date)! 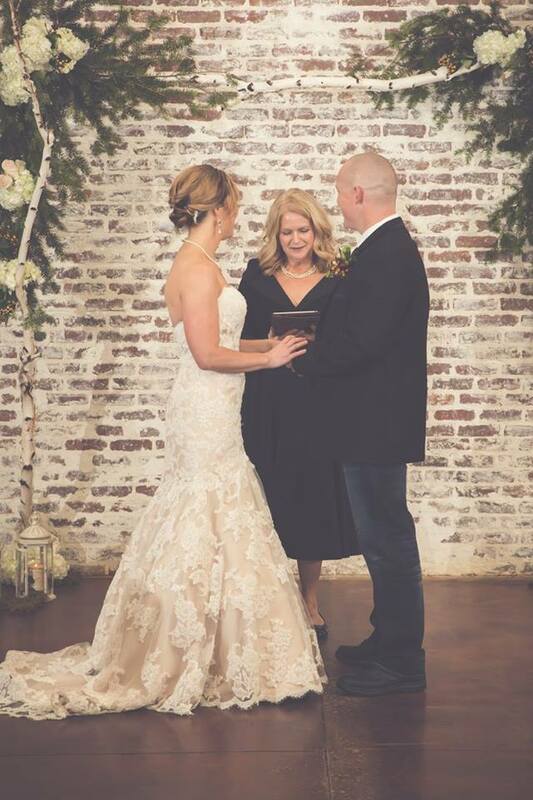 Their fall wedding on October 8 was beautiful and heartfelt. Props to Water's Edge Event Center in Eagle, Idaho, Music Magic Events for the music and photobooth, and Rags Photography. Thank you for the honor of allowing me to officiate your ceremony, and here's to many more awesome adventures together!